This field is supposed to contain the 'type' of the selected movie. There are several suggested types that give us an idea what the field can be used for: Television, Movie, Animation, Trailer. But you can freely re-define these values and provide your own ones. To edit the list, click the "..." button next to the field. Use the buttons on the right to edit, add, or delete entries. Do not forget to confirm your changes with "OK". In the "Main data" area (on the left), there is a simple "Type" entry. 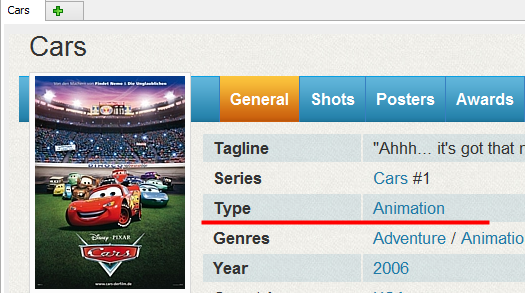 If you disable it, no movie types will be filled out automatically by the IMDB script. 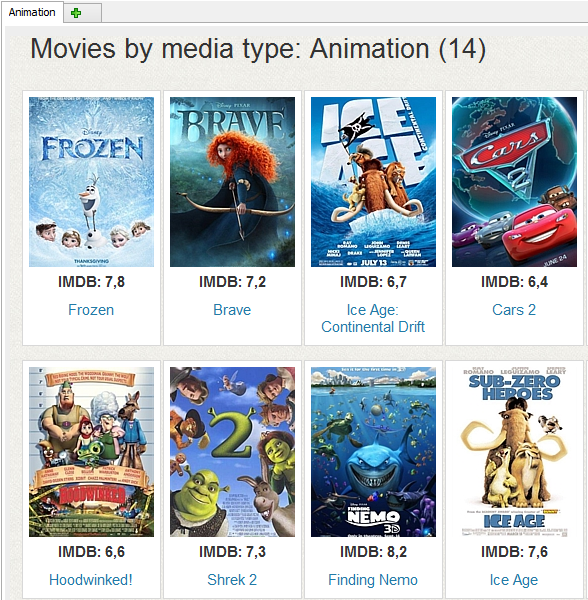 By default, Movienizer sets the following values: Movie, TV series, TV movie, Video. On the right, there is a standalone option: "Use genres to detect types of movies". If enabled, it can provide additional movie types, like Documentary or Animation. 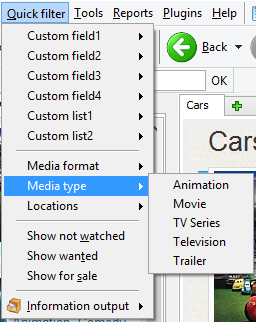 While there can be combined types (for example, animated TV series), the "Type" field allows emphasizing what is most important for you. Additionally, the field can be used on the "Collection" tab, in Reports, in Group Operations. Pre-defined and downloaded movie types allow using the field without much effort. On the other hand, you can create and use your own movie types, for example, "French movies", "Animals", "Family movie", etc.